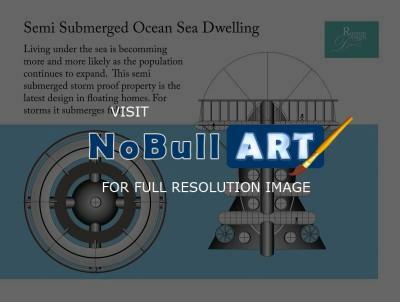 This is an image of a house design created for living under the ocean. It is a semi submerged property and when storms arrive it submerges beneath the waves to protect itself completely. Designed for the ever growing population of the world. Created using adobe illustrator cs6.